Commercial landscaping can seem hum-drum to the outsider, as most envision simply mowing acres of grass and sweeping up sidewalks. But we think maintaining commercial properties is one of the most enjoyable – and creative – parts of our business. We like to help design low-maintenance, yet attractive landscapes for the companies we work with so that you can put your best face forward no matter what time of year. At Mirage Landscaping of Calgary, we have three generations worth of experience keeping the city’s southeast commercial properties ship-shape through all four seasons. Here are six tips for using your commercial landscaping to invite customers to your property. Calgary winters can really take its toll on signage. And aside from our variable weather, the most popular styles of signs can change often too. If you are getting tired of your business logo and colours, chances are others are too. Keep your signage up-to-date, and clean, bright and beautiful. Accent with colourful perennials and annuals in the summer, and use tiered landscaping to draw attention to your business name and type. A business entrance flanked by big bouquets of cascading wave petunias is not only awfully pretty to look at, it just puts people in a good mood when they walk in. Calgary’s summers are so short it does a heart good to see when someone is taking full advantage of the nice weather. Certain types of annuals are hardy, drought-resistant and easy for our professional landscapers to care for, and you can even place a couple pots in your seating areas for more eye-catching embellishments. There are some folks you don’t want to visit your property. It’s something that a lot of people don’t realize, but landscaping can play a big role in commercial crime prevention. The strategic choice and arrangement of landscape elements can go a long way towards deterring criminals. Spruce trees, junipers, rhubarb, roses and mountain pine are just a few of the plant species we suggest that not only look nice, but can also act as a barrier between your business and those who want to do it harm. There’s nothing more unnerving than having to walk through acres of a dark parking lot to get to a store. Good lighting makes people feel more safe and comfortable, and also means there’s a business owner somewhere that truly cares about your experience on their property. Make sure entrances, patios and common areas are nicely illuminated (you can cut back on power bills by using efficient bulbs and timers), and the added bonus is that thieves tend to avoid places that are brightly lit. The City of Calgary estimates that the water bill of its average consumer jumps by about 50 per cent during the summer months. Most of this consumption is undoubtedly attributable to all of us trying to maintain our properties. There are tricks to saving water, though, such as using mulch where you can and installing an underground irrigation system. Automatic sprinklers apply a little water every day, which is far better than applying a lot a couple times a week. With heavy, infrequent watering, some of the moisture will simply evaporate or run off before being absorbed because the soil can’t drink it in fast enough. Underground irrigation systems can be designed for zones, so your flower beds get a different, more effective type of watering. Same goes for your grass. Underground sprinklers can also be installed with timers and rain sensing abilities. All in all, they save time and money, all while making your property look as good as possible. Mirage’s complete suite of lawn care services includes everything from seasonal clean-ups in spring and fall to mowing, trimming, weeding and pruning. 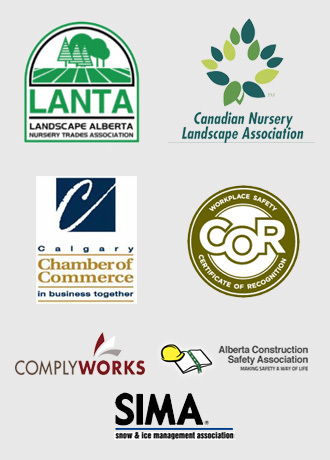 We also provide professional landscape construction services for commercial properties in southeast Calgary. To get started, fill out our request form for an estimate. 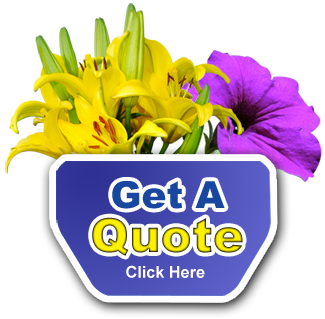 We will respond to your query as quickly as possible!